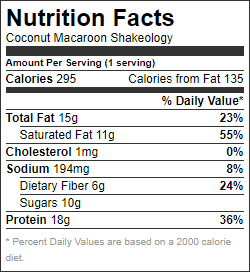 If you like coconut, it’s hard not to like macaroons. 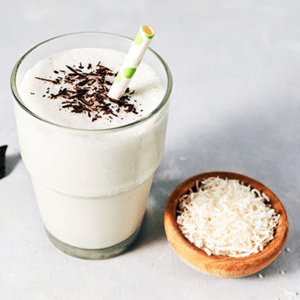 This Coconut Macaroon Shakeology is the answer to indulging your cravings, without heaps of sugar. 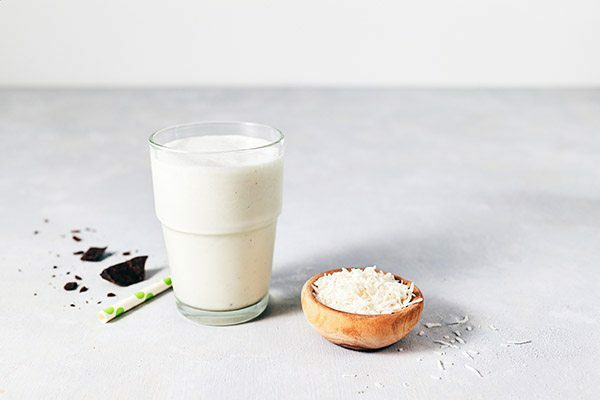 It packs in plenty of coconut-y goodness, thanks to shredded coconut, coconut milk, and coconut extract. And not only does it taste great, but the Vanilla Shakeology also provides a source of protein to keep you satisfied. Coconut extract can usually be found in the baking section of your local grocery store. Otherwise, you can buy it at baking supply stores. You could also substitute vanilla extract or almond extract instead; or alternatively, you could simply leave it out altogether. Shaving a bit of dark chocolate on top of your drink makes it extra indulgent. If you’re fancying a different garnish, a pinch of cinnamon or nutmeg would pair well. 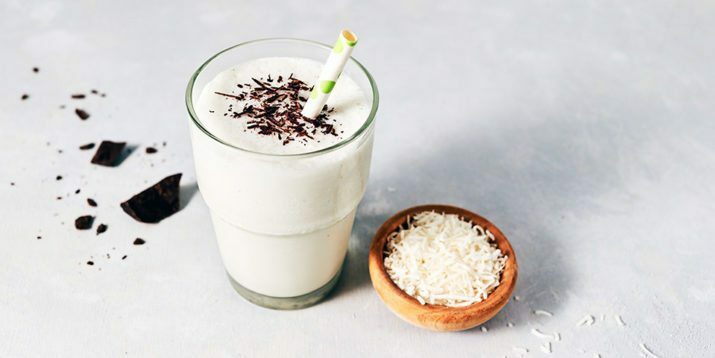 Place coconut milk, ice, Shakeology, extract (if desired), and coconut in blender; cover. Blend until smooth. Garnish with chocolate if desired.